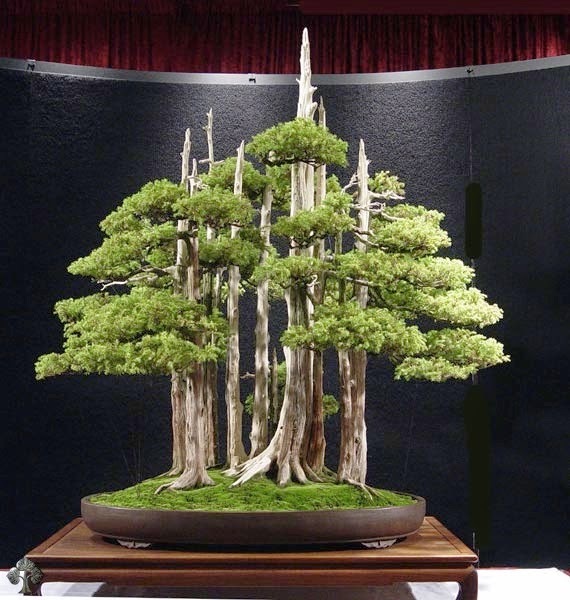 The oldest Bonsai plant is said to be 800 years old . It is in Japan Happo en Garden of Tokyo. Now it is in a private restaurant garden. This tree growing in a antique pot which is as old as an Bonsai tree . The pot has also have an importance as a antique pot .This grand old still living Bonsai is an attraction to Bonsai lover visiting Tokyo . The growing Bonsai is from Egyptian era 4000 BC. The images of miniature trees are seen on rock containers in the period of Pharaoh Ramesses was used to donate olive and other miniature plants to various temples. The Japanese art of Bonsai is actually derived from Chinese practice of making Bonsai which is called as Penjing in 6th century. In the Indian pre common Era that is several medicinal plants are grown in miniature manner in 6000 BC Era as they called as Vamana vrusha means dwarf plants. This is eleven junipers created by well known Bonsai master John Y Naka in 1948 and named Goshin means Protector of spirit .Naka donated to the National Bonsai Foundation in 1984. Ever since it is displayed in United States National Arboretum. 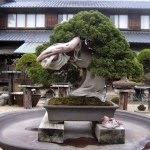 It is one of the beautiful oldest Legend in Bonsai trees.